It’s funny how the colonies have changed the names of stuff. Over here they call scotch pancakes, pikelets. 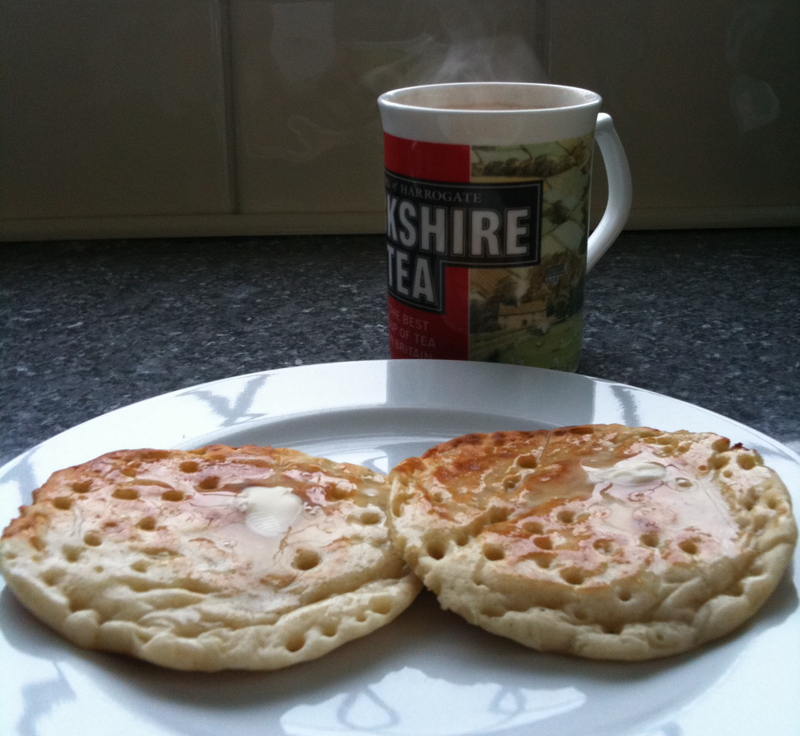 I’m missing Yorkshire pikelets fom Bettys and M&S toasted and buttered with my Yorkshire tea. In Yorkshire of course, pikelets are a flat crumpet. Above are ones I got from Bettys when I was on my Jollies last, they THE BEST pikelets in the world. 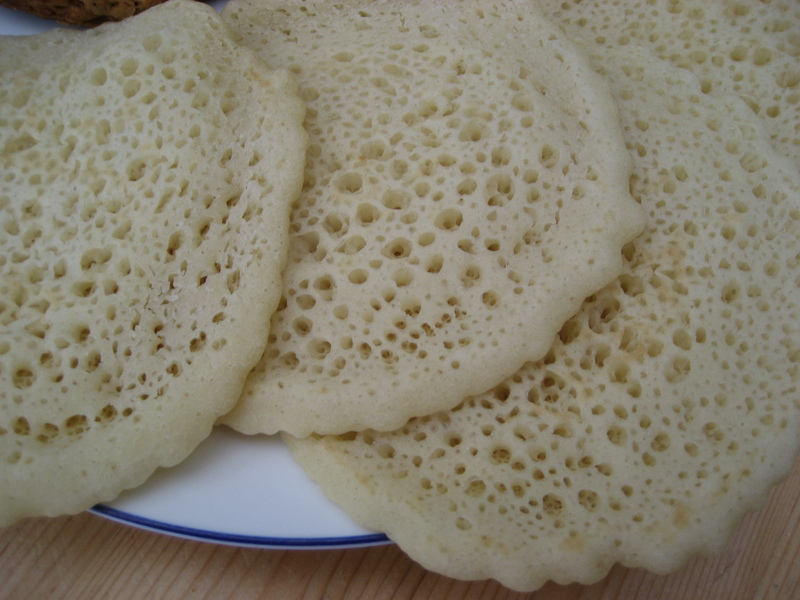 Here they are untoasted and look like lace doilies, sooo light and crisp when toasted. I’d love to know their secret, mine never turn out like that. Ok I have to stop now, the drooling makes the keys stick together and it’s making me more homesick. I had my good friend Sarah round for lunch and knitting today and so I made fat rascals from my Yorkshire Tea-Time Treats book in her honour. The fat rascals were washed down with Yorkshire Tea, what else? Fat Rascals are a speciality of Betty’s Tea Rooms a sister company of Taylors of Harrogate who make Yorkshire Tea. They are a cross between a scone and a rock cake and have two half cherry eyes and three slivered almonds for a mouth. Sarah was very impressed. Also note my Yorkshire tea pot, resplendent in it’s cosy with the Yorkshire Tea milk jug.